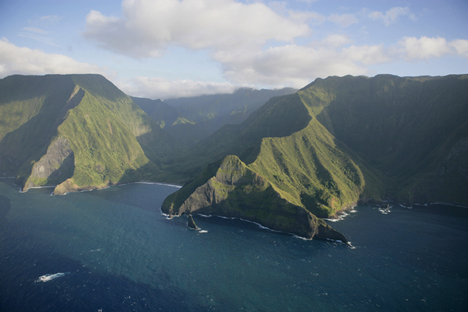 Flying into Kalaupapa offers breathtaking views of Molokai's North Shore. Call Kekaula Tours/Kalaupapa Rare Adventures for info on air packagess at 1-808-567-6088 or call Hawaiian Expeditions ar 1-808-349-3006. If you would like to explore the rest of the island, then please come and join us with our island tour, covering most of the island, including Father Damien Churches, Halawa Valley Lookout and the Kalaupapa Lookout. There is a weight restriction of 249 lbs for individual passengers on the small plane. 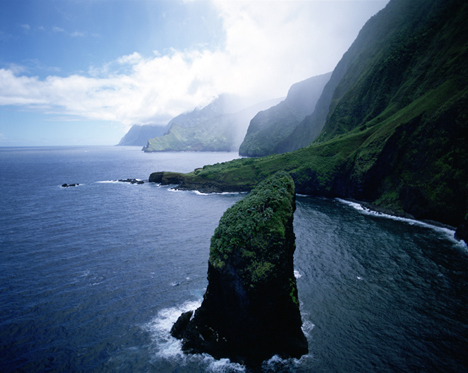 We do offer our full island tour on Molokai and you can still see two of Father /Saint Damien's Churches, along with spending time at the overlook to Kalaupapa. Call is toll free 1-855-208-0811 for instant Island Tour reservations. You can also book your flights to the main airport of Molokai, Hoolehua if you want to do our island tour at Makani Kai for $100 r/t! If you book the Island tour online then more you save! Make a reservation for the Damien Tour here on the website or directly with us, and that way you have your permit. Then book with Makani Kai for a one way flight up from Kalaupapa and let them know you already have a permit and just need a one way only. Our crew will shuttle you to the trailhead at either 7:15 or 7:30 a.m. Times may vary. (Special requests can be made for an earlier or later shuttle.) 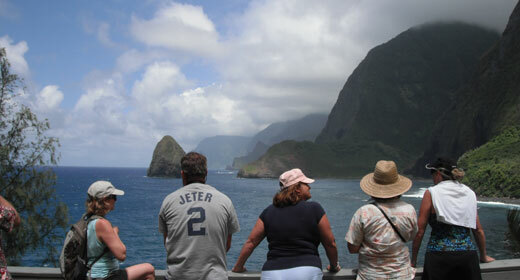 Once there you can enjoy a leisurely hike down the trail where you will meet up with air tour participants and mule riders for a four-hour bus tour of the Kalaupapa penninsula with Damien Tours. 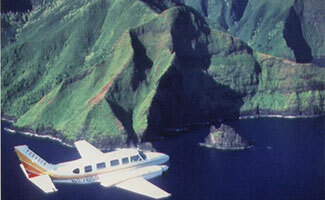 At the end of the day, the bus will shuttle you back to the airport for a scenic flight back to topside Molokai.